awareness of the need for green places, the link between health and our environment, the collapse of biodiverse species because of threats to habitats, it seems strange that somewhere like the meadows in Merlin Park Woods would be developed, but this is the case as we await the plans for the development of the new Galway Hospice site on one of Galway most biodiverse locations. For over six years Friends of Merlin Woods community group have been recording, identifying species and raising awareness in the community of the value of this wildlife haven to people and our wildlife. They have recently received an Environmental Sustainability Award for their work at the Mayors Award in Galway. Protecting the woodlands from a planned road as well as numerous projects to conserve the habitats, they must now fight to protect the meadows, a semi-natural lowland hay-meadows which is home to an amazing variety of wildflowers, grasses and Orchids species which is classified under European designation as Annex 1 lowland hay-meadow with Orchid Rich Species, a priority habitat that has declined rapidly in Ireland with very few sites in existence. It is also home to 19 of the 34 butterflies including Annex 11 species Marsh Fritillary which is the only butterfly protected under European Law although many species are now threatened along with numerous bumblebee and other pollinators. It is in the top 20% of sites in Ireland for butterflies and top 8% for bumblebees. 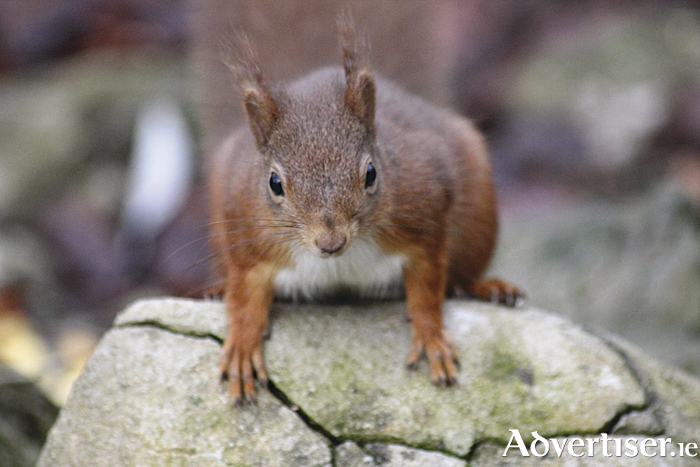 It is home to our native Red Squirrel and in recent years increased traffic has affected the young squirrels as they move about the woodlands into other areas crossing roads to move along wildlife corridors. Two to three a year are now killed on the roads surrounding it, more roads will only increase the numbers when we should be working on ways to make it safer not more dangerous for them. It is home and foraging grounds for five of Ireland’s bat species also protected under European Law. The impact of developing on this area will have an enormous negative impact. Previous works in the woodlands shows evidence of habitat destruction and the introduction of invasive species. Pre-planning works on the meadows has already had an impact where the area worked on has been damaged and has still not recovered from work earlier in the year. Merlin Park Woods and its habitats have existed for over two hundred years, with evidence of this on the 1830s historic maps. Records go back to early 1900s for some of the species here and are still to be found here today. With the destruction of the meadows, it is affectively killing off some of the species in the woodlands as they depend on the grasses and flowers for their existence. Many of our woodland birds will feed on the plants and insects here. Despite the objections of Friends of Merlin Woods, the local community, other groups, planners and the city manager, most councillors voted to rezone seven acres of our recreational amenity zoned land during the development plan process in 2016. Galway Hospice and the HSE were made aware of the scientific importance of this area not to mention its value to the communities surrounding as a recreational space but they decided to proceed with no consultation with the community at any time during the design phase. An invitation has been sent out to go through the design to some but even at this stage, the community feels ignored by the Galway Hospice Board as no contact or invitation has been sent out to the community. Our argument has always been the availability of 84 acres within the hospital grounds already zoned for development and we would have no objections to this land been utilised for building on. Documents obtained under Freedom of Information from the HSE showed the Hospice had interest in a site in Rosshill as early as December 2013 and choice of another offered by the HSE. the argument put forward though to the public was none were available. There was no transparency with this on the sale of public land, no public consultation, no accountability, no questions being asked. The importance of areas like this for community use when we are surrounded by housing, commercial and road development to escape noise, pollution and for our general health and well being must never be under estimated. It seems counter productive to destroy a beautiful healthy environment to create something that will only create more damage to a local community and their health by taking away this valuable green space. It is time Galway City Council protected these areas, without it we effect our own future. A petition with over 6000 signatures is currently available to sign online. Save the Meadows. Page generated in 0.2050 seconds.